Professor Gurmu specialized in econometrics; his research and teaching interests are in microeconometrics (theory and applied), with an emphasis on limited dependent, discrete (especially count), duration, and panel data models as well as non-parametric methods. His recent applied research focused on welfare-to-work transition, health care utilization, fertility, human capital, and economics of innovation and technology. He has published in a variety of journals, including Journal of Econometrics, Journal of Business & Economic Statistics, Econometric Theory, Economic Inquiry, Economics Letters, Journal of Applied Econometrics, Journal of Urban Economics, Economics of Innovation and New Technology, and the Econometrics Journal. He has served on the board of editors of the Atlantic Economic Journal and The Open Economics Journal, and as referee for over 37 academic journals. 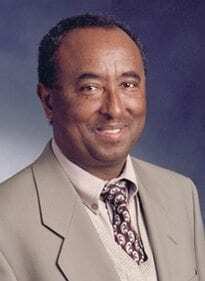 Prior to joining Georgia State University, Gurmu held faculty positions at Addis Ababa University and the University of Virginia.